Jacobs Engineering Group Inc. has announced that it has been awarded an engineering, procurement and construction management (EPCM) contract from Celanese Corporation for the construction of a vinyl acetate ethylene (VAE) emulsions production plant at Jurong Island, Singapore. Under the terms of the contract, Jacobs is responsible for the detailed engineering and design of the project; plus procurement of major equipment and management of construction services. Company officials did not disclose the contract value. With a VAE plant in Singapore, Celanese will broaden its network to better serve customers throughout the Asia-Pacific region, primarily in the higher-end applications of architectural coatings, building and construction, carpets, and paper industries. Yokogawa Electric Corporation announces that it has drawn up Transformation 2017 (“TF2017”), a new mid-term business plan for growth, and will begin its implementation in fiscal year 2015. In fiscal year 2011, Yokogawa drew up the Evolution 2015 mid-term business plan with the goal of becoming the global No.1 company in the industrial automation and control business, and based on this plan has striven to improve its profitability and financial strength by implementing growth strategies centering on the industrial automation and control business. As a result of the measures that have been undertaken to date, we generated record high operating income in fiscal year 2014 and have already achieved the sales target for fiscal year 2015, and are in a stronger financial position. However, the current level of profitability is not yet satisfactory and needs to be raised. In addition, as industries change and restructure worldwide in response to the IT revolution, we are seeing changes in our business environment and emerging new opportunities. Under these circumstances, Yokogawa’s management has chosen to draw up the TF2017 mid-term business plan and will immediately begin its implementation. Based on this plan we will make investments to prepare for anticipated changes and set the stage for growth, and will improve profitability by restructuring our business to focus on customers, create new value, and maximize efficiency. TF2017 supersedes the Evolution 2015 plan. The TF2017 plan is for a three-year period that will conclude with the end of fiscal year 2017, and is part of a long-term business framework that states Yokogawa’s goals for the next 10 years. Our efforts during the three-year period addressed by TF2017 will lay the foundation for future growth. To ensure future growth, Yokogawa is committed to becoming more profitable. The specific targets for fiscal year 2017, the final year of the TF2017 plan, are to have a return on equity (ROE) of 11% or more and earnings per share (EPS) of 100 yen or more. ABB, the leading power and automation technology group, has won an order from PT Fajar Surya Wisesa Tbk (Fajar Paper), a leading packaging paper manufacturer in Indonesia. The contract was booked end of 2014. ABB will provide the automation system for paper machine 3 (PM3), one of the current five paper machines at Fajar Paper responsible for a combined production of around 1.2 million tons of packaging paper per year, including Coated Duplex Board, Kraft Liner Board and Corrugated Medium Paper. “We are very happy to use ABB equipment on our paper machines and we appreciate how ABB always takes a long term view of their relationship with Fajar, seeing it as something that is more important than one single order,” said Wimba Wibawa, Engineering Director in PT Fajar Surya Wisesa TBk. The scope of delivery comprises distributed control system for stock preparation, chemical area and paper machine and quality control system for paper machine with two scanners. The existing third-party automation system in PM3 will be replaced with ABB’s Automation System 800xA, thus resolving the legacy issue faced by the automation system. With this project, Fajar Paper will be one step closer to its plan of having a site-wide fully integrated automation system. 800xA is ABB’s flagship collaborative process automation platform comprising distributed control system, safety control system, quality control system and electrical control system. Technip and its consortium partner China Offshore Oil Engineering Company (COOEC) have been awarded a front end engineering design (FEED) contract by China National Offshore Oil Corporation Limited (CNOOC Ltd.) for two tension leg platforms (TLPs) for the Liuhua joint development project located in the South China Sea. As key technical partner to COOEC, Technip will carry out the FEED work of China’s first two TLPs. The contract covers the design and engineering of the topsides (including two drilling rigs), hulls, mooring and riser systems. It is expected to be completed by the end of 2015. Technip's operating center in Houston, Texas, USA, will execute the FEED contract. Yokogawa Electric Corporation announces that its affiliate, Yokogawa Kontrol (Malaysia), has received an order from a consortium comprising JGC Corporation (Japan) and Samsung Heavy Industries (South Korea) that will supply control systems and safety instrumented systems for PETRONAS's second floating liquefied natural gas (FLNG) facility, PFLNG2. Under the terms of the contract, Yokogawa Kontrol (Malaysia) will deliver an integrated control & safety system (ICSS) for the monitoring and control of the liquefaction facilities and storage tanks on PFLNG2. The ICSS will consist of a Yokogawa CENTUM® VP integrated production control system, a ProSafe®-RS safety instrumented system, a Plant Resource Manager (PRM®) package, a plant information management system, and other components. Yokogawa Kontrol will also be responsible for engineering, and the support of installation, commissioning, and training. The PFLNG2 facility will be moored offshore of Sabah, Malaysia, and is designed to produce 1.5 million tons of LNG a year, with production scheduled to start in early 2018. An FLNG facility is a new type of LNG plant that performs all operations at sea, starting with the routing of natural gas from offshore gas fields and including the refining, liquefaction, storage, and transfer of this resource onto LNG carriers. FLNG is attractive because the technology does not require the acquisition of land or laying of pipelines, making it suitable for small to medium-sized offshore gas fields that are deemed economically unfeasible to develop. Since its establishment in Malaysia in 1989, Yokogawa Kontrol (Malaysia) has developed a solid global track record and extensive know-how of LNG processing plants, LNG carriers, FPSO vessels, and other types of offshore facilities. 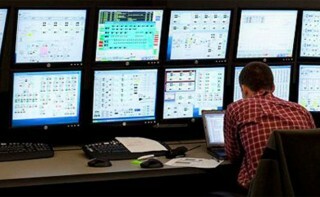 It has delivered numerous control systems to PETRONAS production facilities. In 2013, Yokogawa set up an organization that is dedicated to the growing marine resource business, as part of its efforts to expand its control business in this sector and offer the latest technology solutions to its customers.